MADISON, Wis. -- Authorities offered a $25,000 reward Wednesday for any information leading to the location of a Wisconsin girl who disappeared last week after her parents were gunned down in their home. 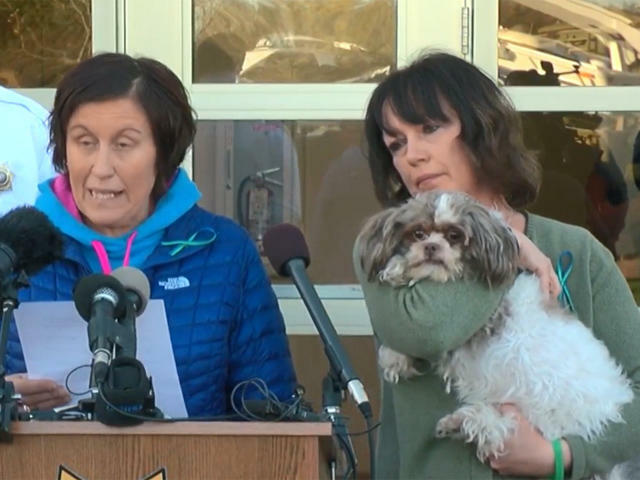 Smith and another aunt brought Jayme's beloved pet to the news conference, CBS Minnesota noted. Scores of law enforcement officers have been working around the clock to find Jayme. Barron County Sheriff Chris Fitzgerald said at the news conference that investigators had received 1,550 tips so far and have closed out 1,250 of them. The only lead authorities have discussed publicly is a vague description of two vehicles that might have been in the area the night Jayme disappeared - a red or orange Dodge Challenger and a black Ford Edge or Acura MDX. The sheriff added that a new evidence collection team went through the Closs home on Wednesday to ensure previous forensic analysts didn't miss anything. The new team removed what Fitzgerald called "items," but he didn't elaborate. CBS Minnesota reports the items included a mattress, a nightstand and several boxes.